Ideal for townhouses, chalets, summer homes, etc. 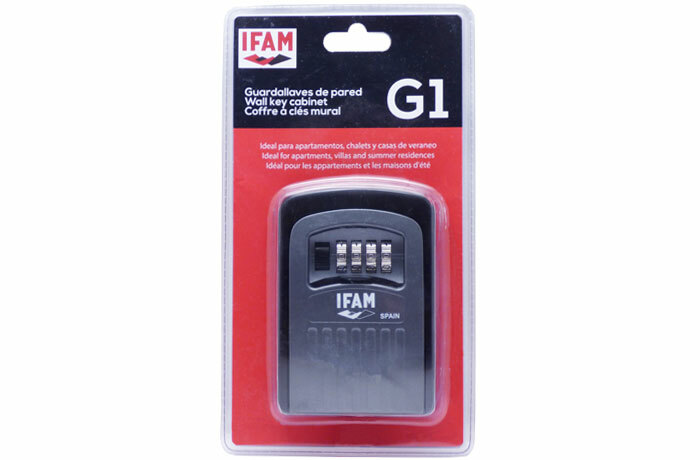 The G1 wall key cabinet from IFAM allows safekeeping all house keys, car keys, keys for locks, padlocks or any other security items in your home. 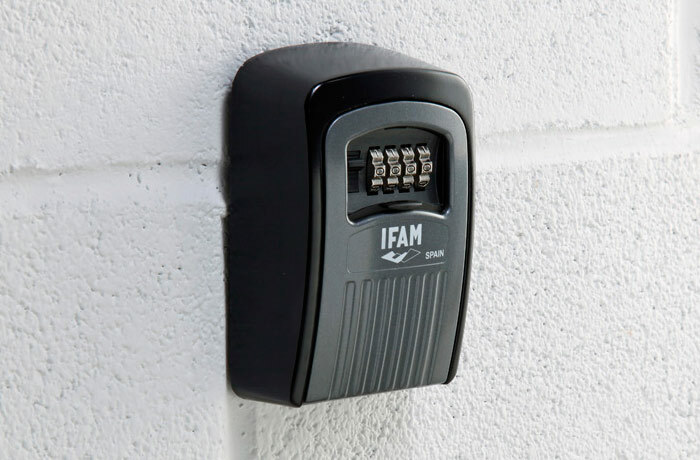 Protected by a 4 digit code, the keys will be kept safe when you leave your home. 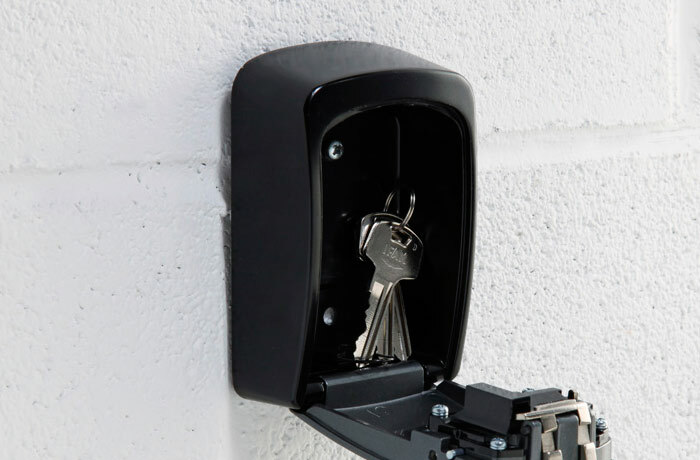 The G1 wall key cabinet is suitable for townhouses, summer homes, chalets, etc. 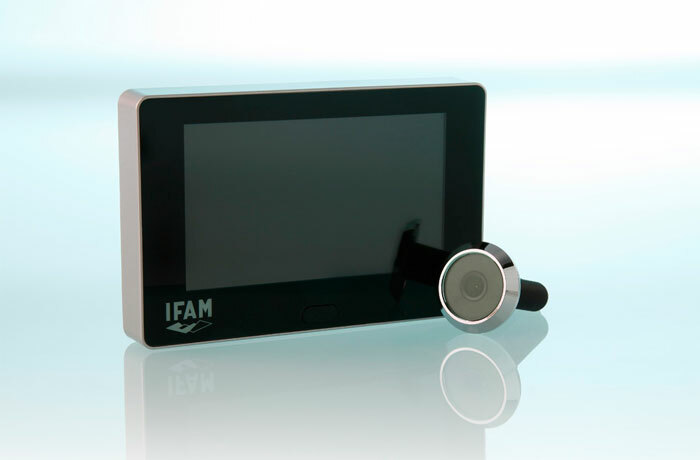 Box: – Made of aluminium alloy highly resistant to coups and o the weather. 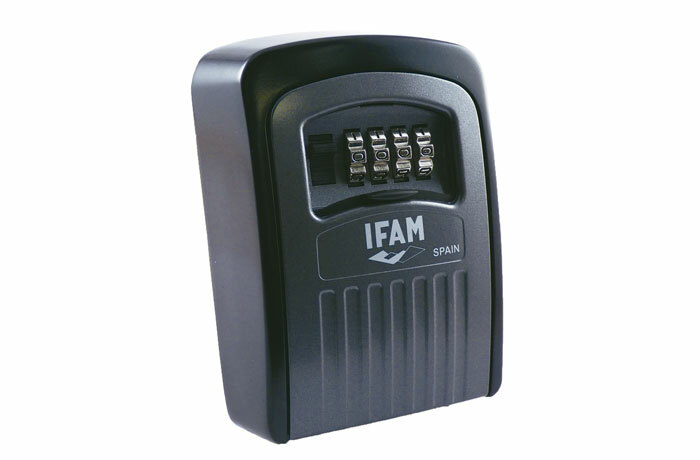 Opening / locking: – Combination lock through 10-digit 4 wheels. 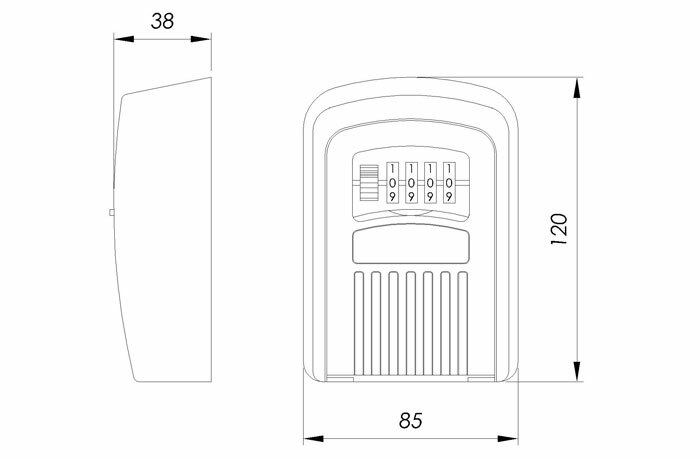 – Sliding lid to protect the wheels from humidity and dirt. 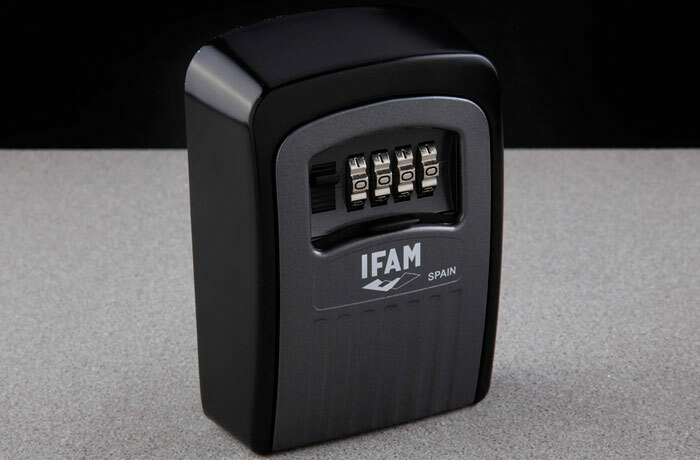 Other features: – Room for 5 keys approx. – 4 screws included for installing the key cabinet on the wall.